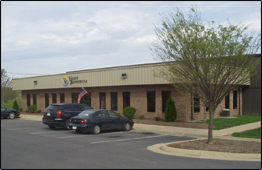 Valley Biomedical's newly constructed facility in Winchester, Virginia. Valley Biomedical's facility as viewed from the air. Valley Biomedical was established in 1986 to service the Clinical Diagnostics Industry with high quality biologicals, diagnostic reagent products and contract manufacturing services. Around 1995 we began to utilize our depth of experience and concentrate on providing a line of Human and Animal source blood products and cell culture sera to the R&D market. We are an FDA registered Device Manufacturer, as such we must operate under cGMP for Medical Devices and are subject to inspection at any time by FDA. We have had three locations over the years. 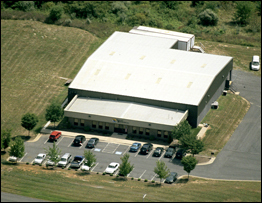 In September 1998, we moved to a newly constructed facility in order to expand our manufacturing and customer support capability. As an experienced manufacturer we provide excellent technical support as well as the ability to work with the end user to customize products. Copyright 2019 Valley Biomedical Products & Services, Inc. All rights reserved.